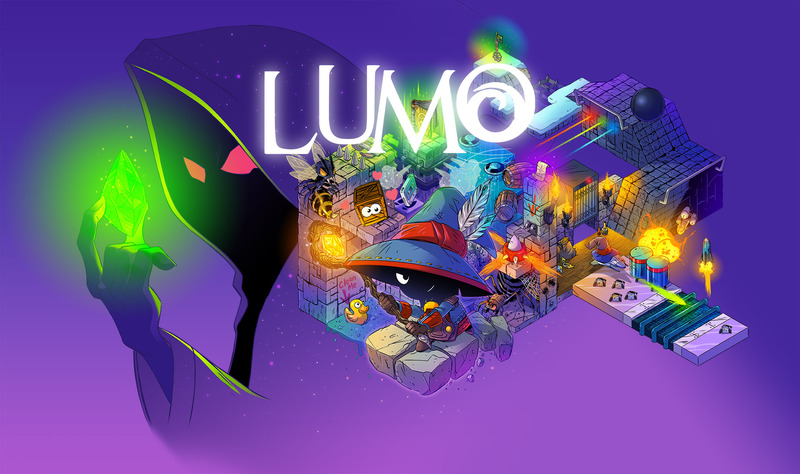 Lumo is an isometric puzzle game available for download from the PlayStation Store for the PS4 and PS Vita. The isometric puzzle genre has not had that much attention over the last decade or so, although the genre once flourished in the 1980s with there largely being two pioneers responsible for such success in the form of Tim and Chris Stamper of Ultimate Play the Game who later went onto be known as Rare and the partnership of Jon Ritman and Bernie Drummond. Particular highlights include Ultimate Play the Game developing Knight Lore and Sabre Wulf in 1984 followed by Alien 8 in 1985, while Jon Ritman and Bernie Drummond developed Batman in 1986, Head Over Heels in 1987 and Monster Max on Game Boy in 1994 with the majority of isometric puzzle games having been released for ZX Spectrum, Commodore 64, Amiga and Amstrad. The founder of Lumo’s developer Triple Eh is Gareth Noyce who has had substantial experience in AAA game development with such games as Crackdown and Fable II on his CV, but wanted to leave that scene to create a project that is personal to him. Lumo is Gareth Noyce’s labour of love as the first game he ever bought was Head Over Heels and actually owns everything created by Jon Ritman and Bernie Drummond, therefore Head Over Heels and the isometric puzzle genre has a special place in his heart in a clear aim to bring a once forgotten genre to a new audience, but does Lumo successfully live up to its retro influences? The story follows the tradition of retro isometric puzzle games by keeping it simple with no cutscenes in sight as it revolves around a young protagonist who witnesses a computer short-circuit only to be sucked into a game during a school open day. Lumo takes place over the course of more than 400 rooms throughout four zones with plenty of secrets to discover including six mini-games such as a riff on the classic retro game Marble Madness, climbing a tower akin to Nebulus and various warp zones. 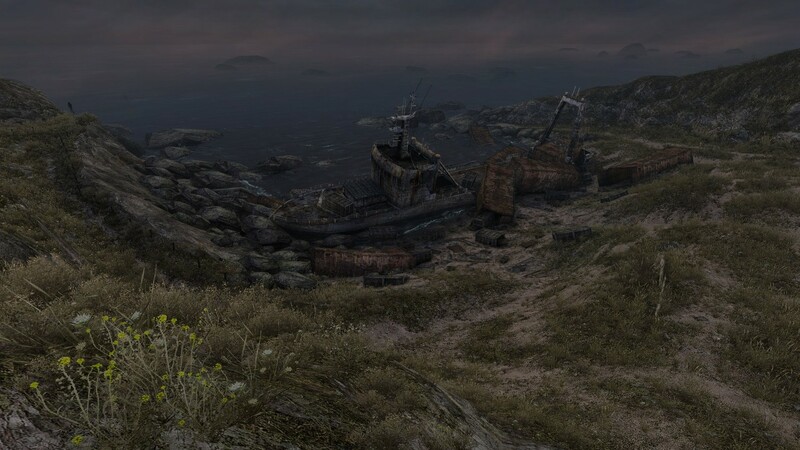 There are also lots of references to be found including a doughnut room full of six packs of doughnuts in a nod to Head Over Heels in which Head could shoot a six pack of doughnuts from a horn at enemies and much more besides which provides an appropriate reward for exploration of every room. Collectables are absolutely important to the gameplay as green orbs provide new abilities such as there being areas that remain inaccessible until you have collected the first orb known as the agility orb which allows your character to jump higher to be able to reach that previously unavailable area which will most likely contain a further collectable. There are also a variety of further collectables that act as a homage to a variety of topics across gaming, television and film including rubber ducks, cassette tapes representing ZX Spectrum games, Zzap 64 logos provide a nod to a printed Commodore 64 publication that lasted for 90 issues until the magazine was re-launched, even a Holly HopOS SD Card inspired by Red Dwarf, gold coins, map pages and much more besides. The character design for your chosen character has some variation as players have the choice between selecting a male or female character and five outfit colours, although the vast majority of the game sees the lead character in what appears to be a wizard costume. The enemy design comprises of large, nasty spiders which rather forebodingly spin gigantic webs, although for the most part the enemies are contained as elements within the environments. The environment design mostly includes cobbled stone floors and walls in your immediate surroundings, although each of the four zones introduces new elements such as ice and snow with the major focus being on puzzles. Puzzles include moving at an appropriate pace to remain out of reach from a contraption that simultaneously produces flames from four sides, carefully manoeuvring your character from tile to tile as they move in a set pattern, crumbling tiles underfoot forcing a fast decision of where to jump to, spikes popping up from the ground as you jump, steam rising from pipes, slipping on icy surfaces and much more besides. Lumo supports cross-buy and cross-save between the PS4 and Vita. Cross-buy presents a superb amount of value as it means that you will be purchasing the PS4 and Vita versions of the game with just a single purchase. The cross-save functionality allows you to sync the progression of your save file from your Vita to your PS4 and vice versa, so you can start playing the game on your Vita on the way to and from work, sync your save game when you return home and then resume were you left off by loading the save game and continuing via the PS4 version. The cross-save feature is made possible by uploading your save file to the cloud on one console and downloading it from the other console. The controls are well mapped to the Vita in a simplistic, easy to learn fashion with the control scheme consisting of pressing X to jump; pressing O to use wand light; pressing L or R to tilt the camera angle of the room to the left or right respectively; changing the direction of the left analogue stick or alternatively pressing up, down, left or right on the d-pad to move your character; pressing select to view a map; and pressing start to display a book which also acts as a pause menu. Graphically, Lumo is everything you would want from an isometric puzzle game as the perspective is positioned precisely in each room to showcase excellently realised puzzles with superb lighting produced by the flame lit lanterns which brightens surrounding environments, fantastic texturing throughout especially on the lead character and the cobbled stones and fluent lead character animations during exploration of rooms. The presentation of the game is solid with a great touch screen based user interface across various menus such as the main menu, settings menus, online leaderboards and gameplay menus with support for navigation via the left analogue stick, directional pad and face buttons, although it does not include support for navigation via the right analogue stick and rear touch pad. The background of the menu screens contains a galaxy of stars, while a title logo is accompanied by a wizard’s hat atop of the L situated across the top centre of the menus. Sound effects include walking, running, pushing crates, pressing switches, flame lit lanterns, collecting items such as the cassette tape loading of ZX Spectrum games upon collecting a cassette tape, a specific sound when your character dies, a certain noise when your character respawns and more besides. The soundtrack mostly contains a vibrant fusion of relaxed R&B music, while there are no character voice-overs as the retro era of isometric puzzle games would often tell their respective stories through text or not have that much of a back-story. The trophy list includes 43 trophies with 28 bronze trophies, 11 silver trophies, 3 gold trophies and 1 platinum trophy. Easier trophies include the first trophy earned which will most likely be the “I can see my house fro…no, wait, I can’t” bronze trophy for collecting the agility orb and the Kamikaze Bear bronze trophy for dying 250 times in a single game. Harder trophies include the Duck Hunt gold trophy for collecting all 32 ducks without dying while holding a duck, the Manic Mining bronze trophy for collecting all of the coins in the mine without dying, the Old School Daze gold trophy for completing the game in Old School mode and the Cascade Cassette 50 gold trophy for collecting all 50 cassette tapes. It is estimated that depending upon skill and a good trophy guide to provide some helpful tips that it would take between 10 to 20 hours to platinum the trophy list. There are two difficulty levels including adventure and old school with decisive differences as the adventure difficulty level has infinite lives, a map, the ability to save your progression and the chance to explore the environments without any time restrictions. The old school mode is completely the opposite as there are limited lives, no map, no chance to save your progression and a strict time limit in which players must attempt to complete the game within; therefore old school mode is the best way of playing Lumo if you are attracted to the game because of its retro roots. The online leaderboards focuses on world rankings, your ranking and friends’ rankings of the fastest times for completing the entire game on the hardest difficulty level with each leaderboard containing each player’s ranking position; fastest time for completing the game; name (PSN ID); the amount of ducks collected; and the amount of cassette tapes collected with the positioning of each player based upon their fastest time. There is no multiplayer which is usually the case for isometric puzzle games, although it would have been good to see some form of local co-operative multiplayer incorporated to provide an alternative spin on the concept. Pass the Vita multiplayer with the purpose of seeing who can find their way through a series of rooms from the single player in the fastest time. Another possibility could have been to have same screen co-operative multiplayer with player one’s controls mapped to the left half of the Vita and the second player mapped to the right of the Vita with certain areas only accessible via co-operative multiplayer. Lumo’s replayability is vast as there are over 400 rooms situated across four unique zones, six mini-games, a variety of secrets, over 150 collectables related to retro gaming, two difficulty levels suited to both beginners and veterans of the isometric puzzle genre and online leaderboards which will collectively have players returning even after completing the game for a first time. Overall, Gareth Noyce has successfully accomplished what he set out to achieve with Lumo; producing a charming retro throwback comprising of many hidden references to games from the 1980s and early 90s that is highly recommended for gamers who are new to the isometric puzzle genre and veterans of the genre alike as it provides a modern take on Head Over Heels and Batman from the classic 1980s prime of isometric puzzle games.